Calling all buffalo lovers! 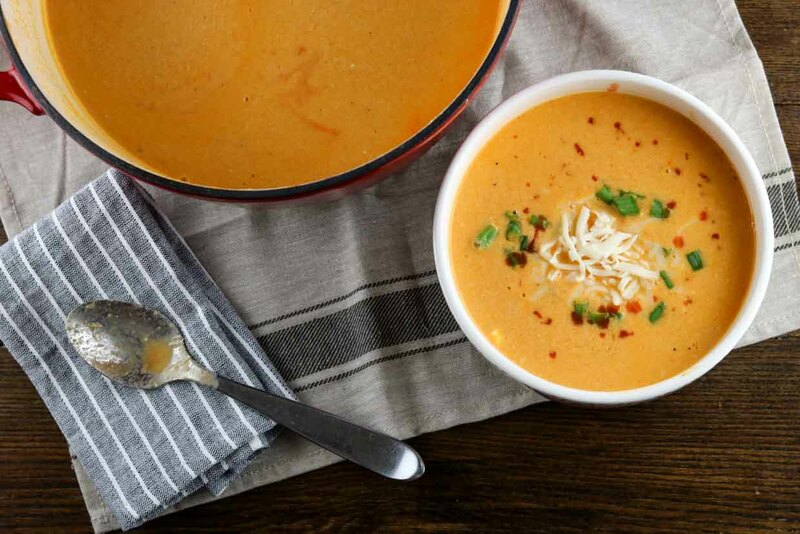 This buffalo chicken soup is for you! Buffalo wings are a favorite at our house, but sometimes I just don’t have time to fix a large batch of wings for dinner. 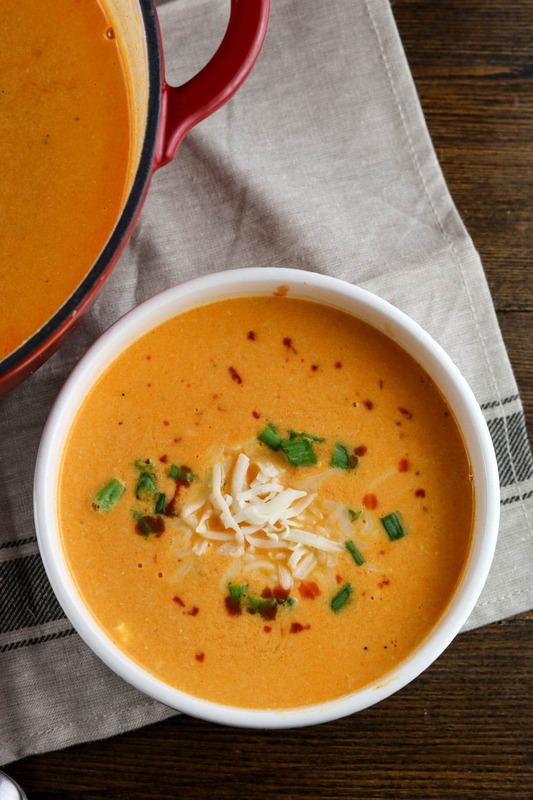 Enter the buffalo chicken soup. And what’s even better is you can use a rotisserie chicken to cut down on the prep time. 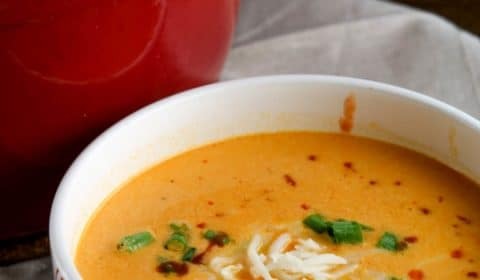 You can also make this soup as spicy or as mild as you’d like by adjusting the amount of hot sauce you include. 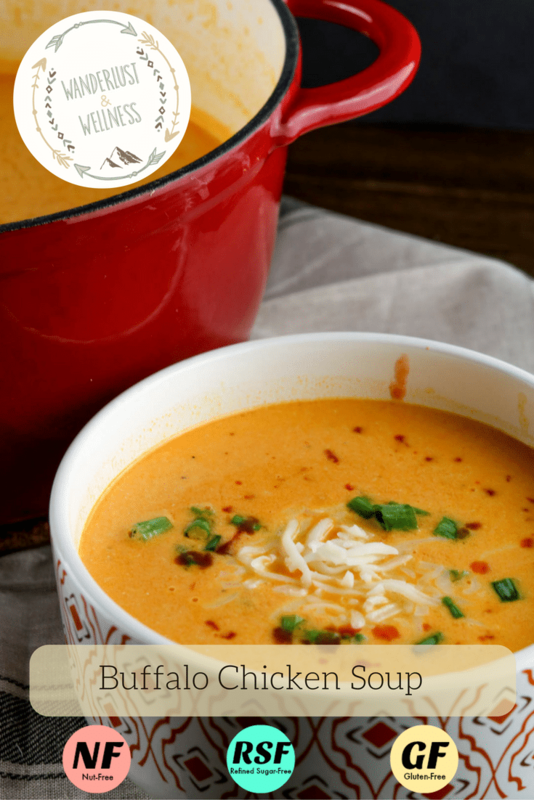 Whichever way you go, you will LOVE this buffalo chicken soup! 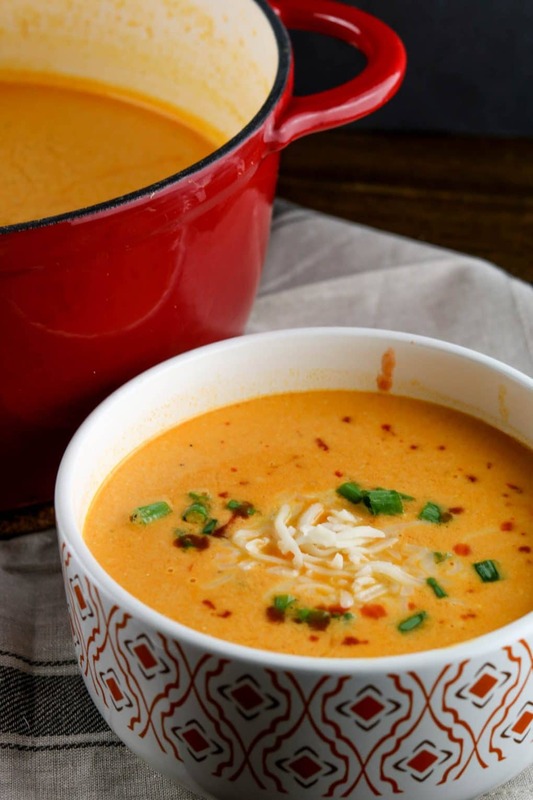 Just to note, this soup is not dairy-free, it does include cream cheese. However, you can find organic cream cheese that is hormone free just like any another organic dairy product. I would suggest looking for that option before grabbing the Philadelphia Cream Cheese. One other note, you’ll want to be sure to not add your rotisserie chicken until the very end. You’ll need to use an immersion blender to blend the ingredients and you’ll want to be able to do that without the chicken. I may or may not be speaking from experience, when I blended the chicken and it literally disappeared into liquid. A little helpful tip for my followers. Add all ingredients, except for the chicken and cream cheese to a large stockpot. Bring to a boil, then reduce heat and cook on low for about 30-45 minutes, stirring occasionally. I would suggest starting with the smaller amount of hot sauce and taste. Add additional sauce if needed. Break up the cream cheese block into smaller chunks and add to the pot. Let cook for another 15 minutes. Remove the skin from the rotisserie chicken and tear off all meat from the bone and add to the soup mixture. Let heat for another 5-10 minutes, then serve. Top with shredded mozzarella cheese, chopped green onion and dash or two of additional hot sauce.